Why do organizers need to use location-based marketing to make the most out of events? Music events and international conferences are rapidly adopting location-based marketing as a natural strategy to organizers who already have an app. With location-based services, event organizers can avoid queues, long wait times, printed papers and lack of information to improve the attendee experience at events. It has proven to be an effective tool for retailers, but can be an indispensable mobile marketing strategy for events as well. The event industry is looking at and massively adopting new technologies. As the average top event spends $80,000 on printing, they save 50-75% to develop an app instead. To enhance the attendee's experience and gather resourceful data about their offline behavior, event marketers are embracing location-based technologies. Adding geolocation to an app is becoming increasingly more popular for event organizers because without this technology could be impossible to measure how many attendees visit a certain session, booth or where the attendees spend most of their time at. Using location-based technologies event apps can provide a wide range of services such as indoor navigation, check-ins, “smart” badge pick-ups, sending event information and for advanced networking. Attendees can also be retargeted with highly personalized campaigns through online channels after the event. One of the best ways to make the most out of events is by using location-based marketing. For example, by setting up geofences, you can interact with attendees even before the event starts. At international conferences, organizers can set up welcome messages and encourage attendees to collect their badge when they arrive at an airport, send them updates when they reach certain location checkpoints, and even create personalized reminders based on the interests of the attendees. Geofencing can really be helpful for attendees to have a positive experience from the moment they step foot in the city. Beacon technology adds an extra dimension to location-based marketing. 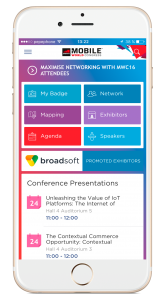 Beacons are typically used by trade shows and conferences to ensure a user has actually entered the venue, and not simply passed by. When multiple beacons are deployed throughout the venue, one can distinguish between floors, sections (such as halls, booths, conference rooms or points of interest) or even individual product lines. This gives the opted-in app the ability to learn user interests and at the same time trigger proximity-specific content; whether it is a local push notification, fullscreen creativity or nothing at all. Exhibitors and sponsors can set up beacons at the event to draw in attendees to their booths. These beacons can alert attendees to nearby booths based on their location at the event grounds. This helps booths get more exposure without inundating attendees with constant messages. Geofences and beacons used together can really create a killer mobile marketing strategy to improve the attendee experience. It’s not just about the attendees having a positive and personalized experience. Organizers can monetize their event by partnering up with hotels, bars, and restaurants around their event location. Companies will also be able to justify their investment into sponsorship as event organizers can provide the data collected from the event or from previous events. Proximity marketing has proven to enhance the attendee experience significantly. To give you a few ideas on how location-based marketing can be used, here are some case studies you may find interesting showing astonishing results. The Mobile World Congress is an event for the mobile industry that is held in Barcelona. The Mobile World Congress 2016 lasted for four days and gathered 101,000 attendees from more than 200 countries and regions. 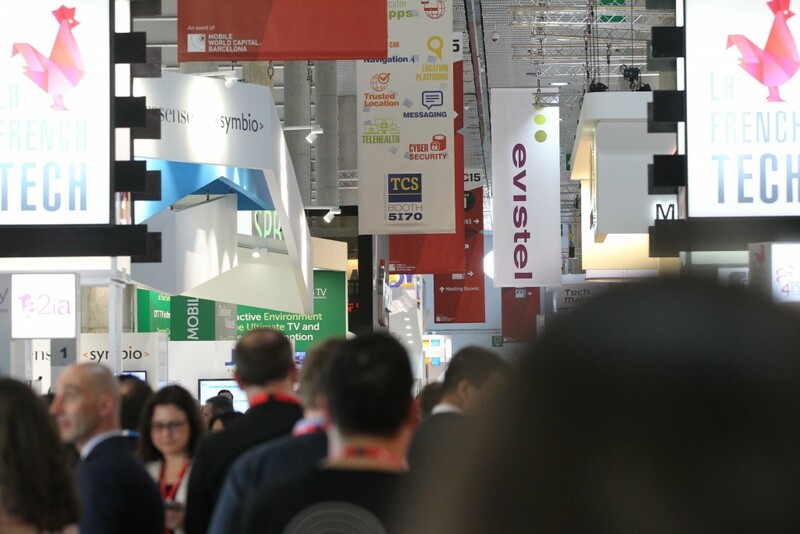 The GSMA organizers had set up over 700 beacons and geofences throughout the city and the 240 thousand square meters of exhibit space in Fira de Barcelona’s Gran Via which helped drive traffic to exhibits. It also used the beacon data to learn about the interests of the attendees.  They also used the data to retarget the users with relevant mobile campaigns. Bonnaroo is a music festival that attracts over 80,000 people. The event holds over 10 stages across 700 acres which can make it confusing for attendees to know what’s going on. Fortunately, with the use of geofences and beacons, the organizers were able to provide a safe and positive experience. The attendees were alerted when they reached a certain area to pull out their tickets and where to pull over. The beacons allowed attendees to easily find water stations and medical tents, while also alerting attendees to their location so that they could find the right stage. The Detroit Auto Show is using beacons in really innovative ways as well. The beacons are set up to communicate with attendees when they are in a location to be as interactive as possible. Attendees are also given the floor plan of the building and have a list of beacons that are checked off when they're visited so that the attendees can make sure they've visited all the exhibits. They also threw in gamification by allowing attendees to sign up for free prizes if they've visited all the beacons. This really added a fun element to the event while also increasing the amount of exposure for the exhibitors. These are just some of the many things that can be done with location-based services. 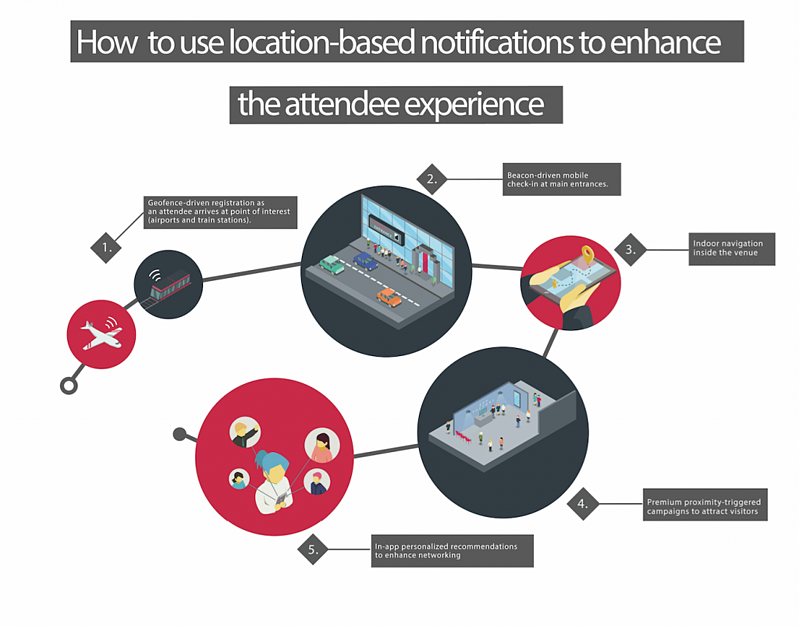 For the event industry, the benefits of using beacons and geofencing are enormous. On one hand, attendees can be guided through the venue and can receive relevant information such as alerts for upcoming conferences and last-minute changes, for streamlining the registration process, enhancing networking opportunities and a whole lot more. On the other hand, organizers can improve communications with attendees, reduce printing costs and carbon footprints, increase exposure for sponsors, drive traffic to premium stands and collect data to identify the most visited areas in order to improve the layout of future events.